The majority of Islamic State militants directly involved in carrying out the Paris and Brussels terrorist attacks used the Balkan route to enter Europe under the guise of being refugees, the Hungarian intelligence chief stated. Hungarian intelligence established that one of the Brussels and Paris attacks’ masterminds, Salah Abdeslam, made four trips to Hungary in August and October 2015 where he arranged for at least nine terrorists linked to the Paris and Brussels bombings to enter Europe. 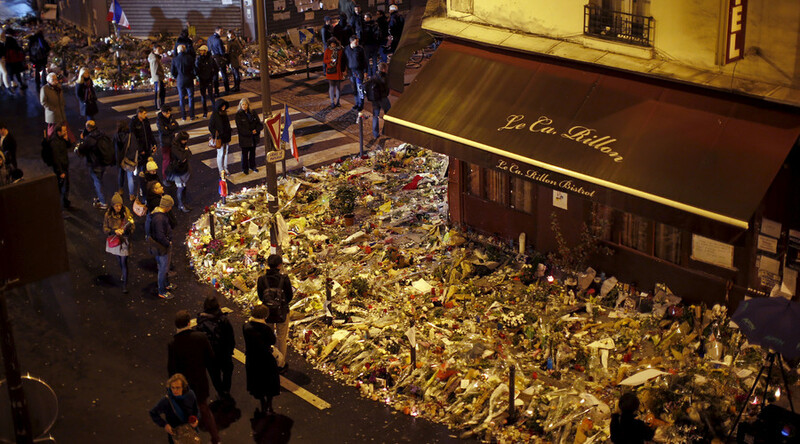 The men were involved in a number of attacks in Europe last year. The nine smuggled were named as Bilal Hadfi, Chakib Akrouh, Mohamed Belkaid, Najim Laachraoui, Sami Amimour, Omar Mostefai, Mohamed Aggad, Mohammad Almahmoud and Ahmad Almohammad. Besides the Paris attack, some members of the group were also involved in coordinated bombings in Brussels in March that killed 32 people. Bodnar revealed that Ayoub el-Khazzani, who opened fire with an assault rifle on an Amsterdam-Paris train last August, also passed through Hungary posing as a Syrian refugee. The scheme used by terrorists centered around Abdelhamid Abaaoud, one of the terrorists killed in the Paris shootout. He had organized for a man known as Bilal C. to trial the migrant route from Syria’s Raqqa to Europe via the Balkans in July 2016. This July, German police detained the 20-year-old Algerian known as Bilal C.From June until August 2015, he is thought to have traveled from Syria through Turkey, Greece, Serbia, Hungary and Austria where, before eventually entering Germany, he informed Abaaoud about the lack of security at the borders and the “safety” of the smuggling route. During the crossings, which usually involved two or three men, the terrorists used fake Syrian passports to hide among refugees, intelligence chief revealed. The militants were “well-trained” in covert communications and covered their tracks by regularly deleting social media accounts and constantly changing sim cards they used to communicate with terrorists in Raqqa, Syria. By using fake identities and hiding among refugees, Islamic State (IS, formerly ISIS/ISIL) operatives were able to circumvent the EU’s terrorist databases, Bodnar claimed. Concerns about terrorists entering Europe among the wave of migrants have long been on the rise, with even top EU officials such as German Chancellor Angela Merkel admitting that “some” militants could have slipped through. 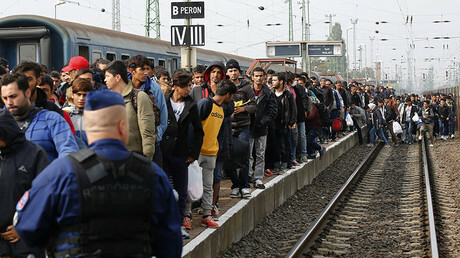 Despite officials’ regular warnings against whipping up anti-refugee sentiment, nearly 60 percent of Europeans believe the threat of terrorism increases as more migrants arrive in their countries, a recent PEW survey found.